It’s important to remember that the use of augmented reality in real estate is in its infancy, and a lot of people aren’t familiar with it yet. This tends to be especially true of my older clients, but most people are enamored by the technology once introduced, and see it as an exciting advantage. Because AR adds a digital layer to what people see in front of them, I can use it mid-tour to show what a home would look like furnished. 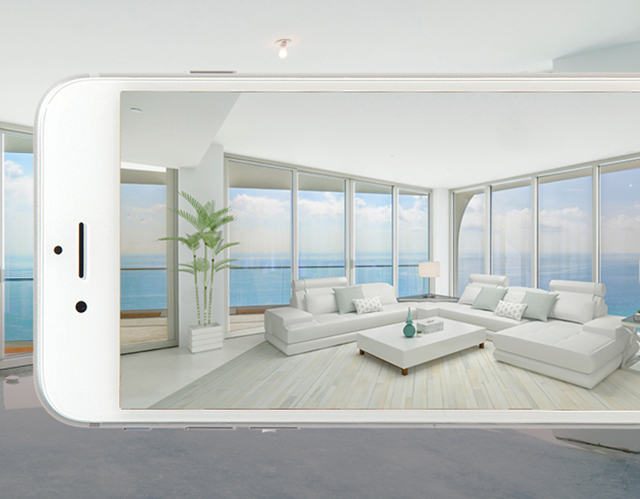 When you take a photo of an empty room and use your phone to add furniture from an app like Curate by Sotheby’s International Realty℠, you’re engaging with augmented reality. The app itself also becomes a tool you can give to the consumer, a value-add they can explore. As the apps improve and staging choices become more varied, I expect we’ll be seeing even more response from clients. At an open house, AR definitely brings the cool factor, and that extends to the perception of the agent: prospective clients naturally think you’re more current and possess the technological tools to get their home sold. Data from Forbes suggests that staged homes sell 87% faster than non-staged homes. But staging is also expensive and can’t always be accommodated within a seller’s timeframe. The tangible benefit to using AR and Curate, which is powered by roOomy, is that you can add preset furnishings to existing homes to create a kind of “virtual staging”. It can be used in one room or a whole house. I also use our in-house staging partner to address a home’s potential flaws. If you have a “problem area” in a house — a dark dining room, perhaps — you can have it digitally adjusted in order to take away the negative. One of the tactics I use to increase clients’ comfort level with Curate is to create “storyboards”. I send the images of digitally-furnished rooms to the printer and have large glossy prints mounted gallery-style in the rooms where they apply. 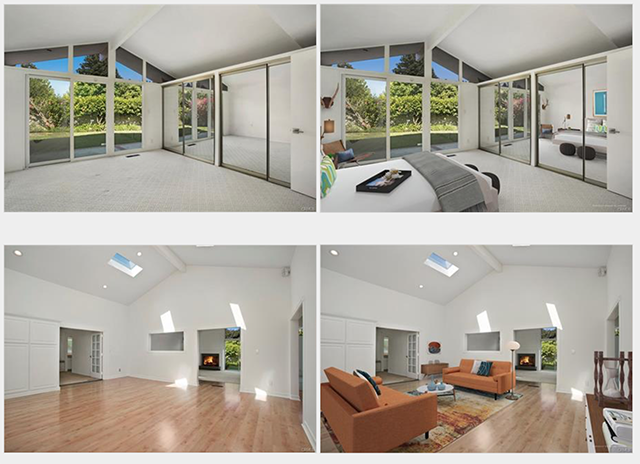 For a recent listing that was vacant, for example, I digitally staged the entire house. This process allows clients to see examples of furniture in each room, which in turn helps them to picture what it would be like to live there. Buyers can often relate to the storyboards, especially if they’re not yet at a point where they can connect emotionally to AR images as viewed on a phone or tablet. Storyboards bridge this gap. In the end, people are always impressed by AR and tools like Curate, as well as 3D virtual tours, as clients can explore homes in a more immersive way. These are great tools to help buyers get a sense of what something will look like. I’ve personally seen this technology make a difference in sales; it has also helped me land new clients. 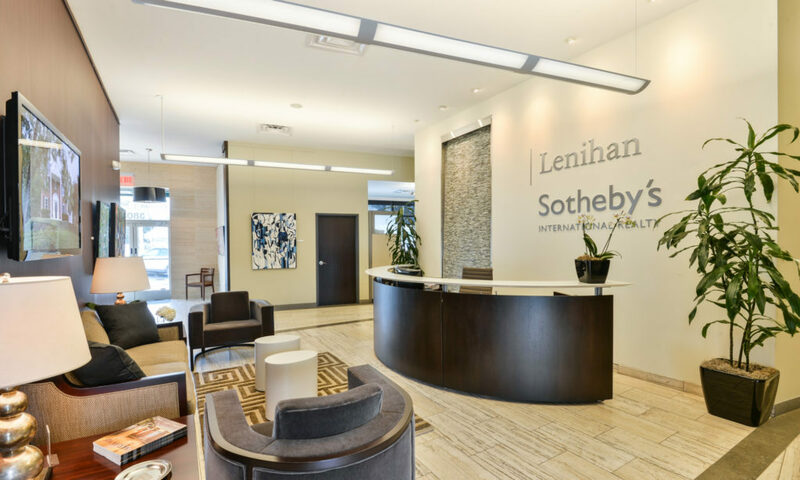 As real estate agents, we are always looking for new and better ways to present information to our clients so they can make what often amounts to their largest financial and lifestyle decisions. AR may be the way of the future, but it can be used today to cultivate both clients and sales. 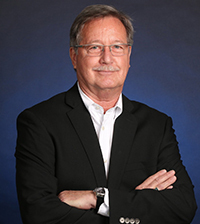 A native Californian and REALTOR® with Pacific Sotheby’s International Realty, Nick Church has been selling real estate full time along the Laguna and Monarch Beach coastline since 1984. He is well known for his personal service and cutting-edge approach to his business.